Enjoy photos from past trips hosted by our Travel Coodinator Cherylene Shollenberger. Join us on our next trip. Make your reservations today! Follow the Adventures of our RLK Travelers and their Friends! 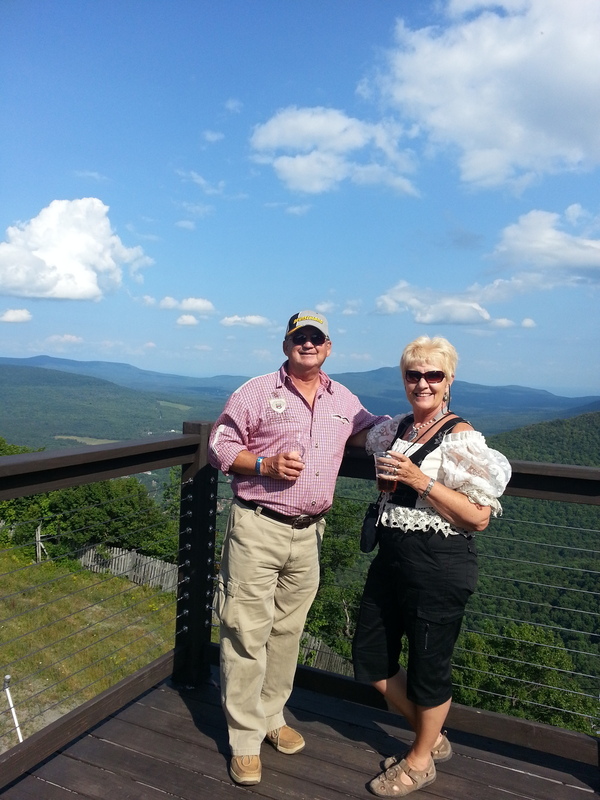 Your Reading Liederkranz & Friends tour guides Barry and Cherylene Shollenberger at the overlook. The view from the chairlift looking down at the beautiful festival grounds. The beautiful, all inclusive Villa Vosilla Boutique Resort in Tannersbille, New York. Our stop in Woodstock for lunch where we found a great souvenir about Hunter! With Olga Eshbach, Judi Eshelman and Walter Koob. Some members of our group under the main stage tent. After the chairlift, overlooking the Catskills. 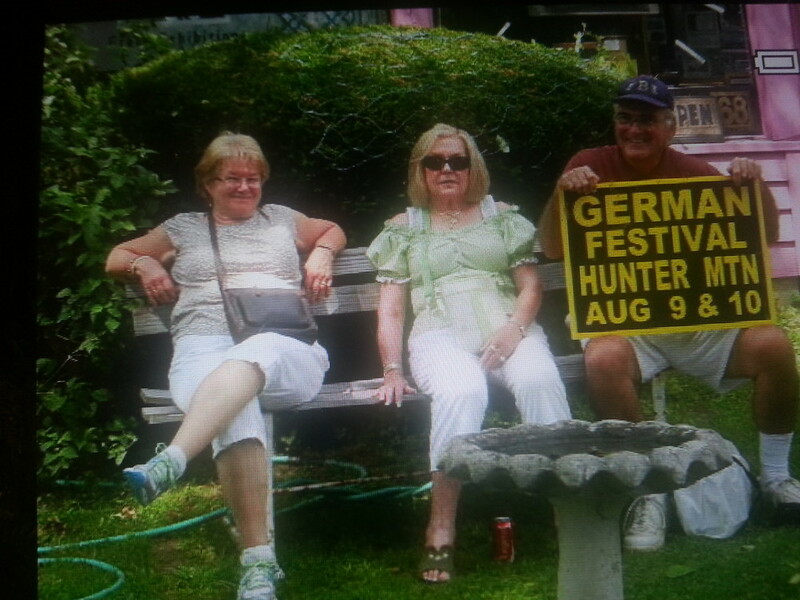 With Barry Shollenberger and Jeff & Judi Eshelman. All of us in front of the Villa Vosilla. Some of us enjoyed the lovely outdoor pool. We had gorgeous weather both days! The group posing for a photo at Versailles, just outside Paris, France. 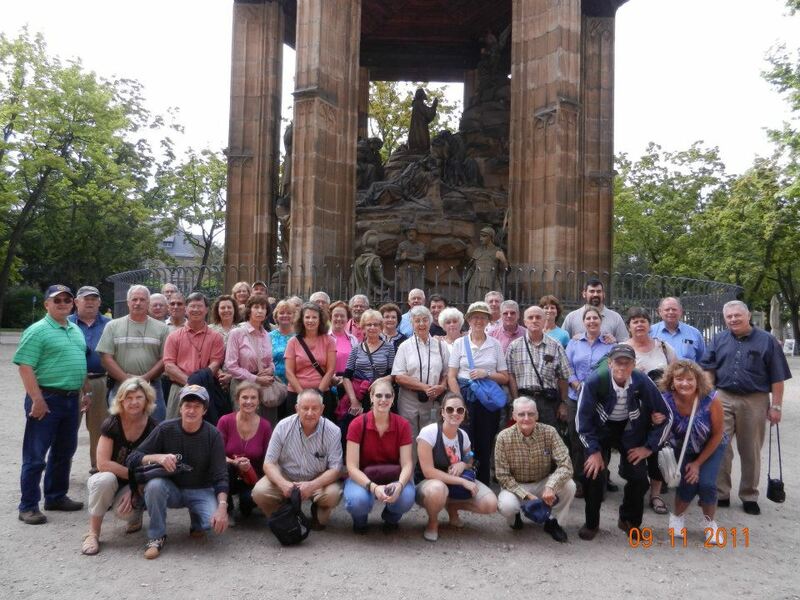 The group posing for a photo on this 2011 trip abroad.